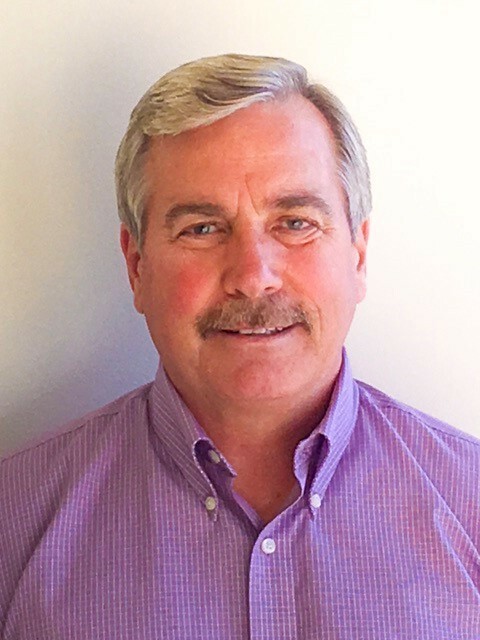 Phytelligence, a leading agricultural biotechnology company revolutionizing the way food crops are grown, has appointed Bill McClain as executive vice president of marketing. In this role, McClain will drive marketing strategy to expand Phytelligence’s work with growers of food crops globally. McClain has played a vital leadership role in brand management at global companies including Clarisonic, acquired by L’Oréal in 2011, and Sonicare, acquired by Philips in 2000. He also helped launch products from such companies as Johnson & Johnson and Oral-B. Over the past 10 years, McClain has developed a series of successful partnerships and strategic marketing initiatives. During his time at Philips, he introduced the marketing strategy and led the multi-country marketing team that doubled the number of European Sonicare sales in just two years. McClain is also a trusted instructor. For the past five years he has taught certificate courses to international marketing professionals at the University of Washington’s Professional & Continuing Education College, and Experience America’s Business Culture Understanding & Marketing program. Phytelligence is an agricultural biotechnology company that is revolutionizing the way food crops are grown. Utilizing its proprietary growing techniques to provide superior quality crops, Phytelligence enables higher grower profit by increasing speed to harvest and reducing input costs. Phytelligence provides additional value to food crop growers and plant breeders through the application of advanced genetics enabling guaranteed delivery of accurate plants, disease screening, plant repository services, securing of intellectual property, and the ability to co-develop new varieties of food crops. The company has a growing pipeline of biological and compound solutions aimed at improving returns throughout the food crop value chain. Phytelligence was founded by Dr. Amit Dhingra in 2012 out of his Horticulture Genomics and Biotechnology Research laboratory at Washington State University and is headquartered in Seattle with offices in Pullman, Wash. and Portland, Ore. Learn more at www.phytelligence.com. Agricultural biotechnology and micropropagation company Phytelligence has raised $11.95 million of a potential $16 million Series B. The company announced an initial close of $6.95 million in early July and increased that by $5 million when Avrio Capital committed in late August. The company still expects to reach $16 million total according to an email from Phytelligence, closing in early September. This round was led by Cowles Company, a family-owned investor out of Spokane, WA with investments in media, clean tech, and some agriculture, among other areas. Also participating in the round was WRF Capital, the investing arm of the Washington Research Foundation. “The decision to invest in Phytelligence was an easy one to make once we saw the tremendous gap between the current nursery capabilities and the needs of the modern grower,” said Steve Rector, CFO of Cowles Company. Phytelligence’s patented and trademarked MULTIPHY process enables apples, cherries, peaches, pears, grapes, hops, berries and nuts to grow five times faster with fewer inputs using a non-soil, nutrient-dense growing medium. This speeds up the process for growers to get new, designer fruit varieties like Honeycrisp apples and cotton candy grapes to market as well as alleviating age-old industry bottlenecks. Growers traditionally had to wait just to be able to obtain rootstock for new crops. Now, Phytelligence provides genetically-verified and virus-free trees and rootstock to farmers in a sector long-plagued by a lack of transparency. CEO Ken Hunt says that in the past, 10% of apple trees sold were mislabeled as to their type. Phytelligence technology spun out out of Washington State University as founder and CSO Professor Amit Dhingra was woking with local Washington farmers to develop new apple varieties using micropropagation. He founded Phytelligence when the demand from farmers became too great to meet in an academic setting. Now the company offers tissue culture and genetic testing for trees already in the field, as well as selling rootstock and plants. Phytelligence will use the new funds to further expand its propagation capacity including taking on more greenhouse space. “We’re also spending a tremendous amount of time and money to constantly improve the process — looking at robotics; looking at the ability to do grafting in a tissue culture lab with a younger plant to speed the process,” said CEO Ken Hunt, who joined the company in 2016. In addition to being the only genetically-verified rootstock provider, Phytelligence is also always looking for the next great apple variety, but Hunt says despite Phytelligence’s quick pace for a tree-grower, these things cannot be rushed. “Nature is only so fast. I feel like we’ve got the tools and the ability to make very good breeding selections that will make the discovery of the next Honeycrisp really fast. You just gotta sit there and wait for the plants to grow.” Even after a winning variety is discovered, much more breeding and cultivation is required to reach critical mass to bring the new variety to market. Hunt says that the fastest possible timeline for a new apple variety is seven to 10 years. Since founding in 2012, the company has grown to around 70 employees with greenhouse space in Washington and a tissue culture lab in Oregon. Dhingra also still runs an R&D lab at Washington State University and Phytelligence has right of first refusal to any new tech developed there. Uniquely, much of the company’s previous funding came from the industry including various farming groups along with four leading nurseries. Phytelligence has raised $12.6 million total to date. SEATTLE – Jan. 12, 2017 – PRLog — Phytelligence, the leader in agricultural technology revolutionizing food crops, has announced the addition of Matt Shanks as Director of Global Sales and Business Development to the growing company roster. 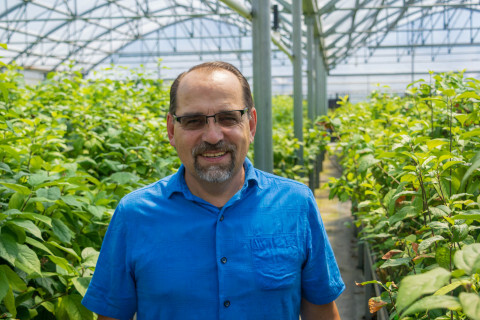 Shanks comes to Phytelligence from Oro Agri where he was the Pacific Northwest Area Manager and honed his experience by working one-on-one with some of the largest growers and distributors in the industry. Prior to that, he owned his own agricultural business for 17 years that extended into Mexico, Chile and China. As Director of Global Sales, Shanks will help Phytelligence expand their clean, true-to-type plant materials to the rapidly growing berry and nut markets both locally and internationally. Shanks’ background in sales within the agriculture industry, and specifically within the berry industry, is a great match for the growing Phytelligence. Phytelligence is based in Seattle, Washington with a research and development lab in Pullman, Washington and a tissue culture lab in Portland, Oregon. Over the last year, Phytelligence has grown their workforce to over 50 full-time employees and expanded their footprint to accommodate over 20 million plants in tissue culture at their Portland location. With their official expansion into the berry and nut markets, Phytelligence will provide clean, true-to-type plant materials across a wide range of varieties including strawberries, blueberries, raspberries, hazelnuts and almonds. Phytelligence was founded by Dr. Amit Dhingra in 2012 out of his Horticulture Genomics and Biotechnology Research laboratory at Washington State University and is headquartered in Seattle with offices in Pullman, Washington and Portland, Oregon. In 2016, Phytelligence expanded their footprint including securing an 8-acre Seattle-based greenhouse space and a Portland-based tissue culture lab. Currently, Phytelligence has 50 employees with immediate plans to continue hiring in the near future. Phytelligence, a platform agricultural biotechnology company that is revolutionizing the way food crops are grown, today announced the closing of their Spring 2017 booking season, turning away over 1 million in unfulfilled plant requests due to selling out their entire plant capacity. Despite expanding their volume 10 times over from 2015 to 2016, Phytelligence sold out of their available plant stock for the Spring 2017 season. The company is rapidly increasing capacity to support growers and remedy the severe shortage of quality rootstock in the industry. Phytelligence is already booking orders for Spring 2018 and expects a short selling window as growers scramble for viable plants. Phytelligence began the year strong by establishing their Seattle headquarters, starting the Portland tissue culture lab, and pivoting the Pullman location to focus on discovery and genetics. In just 5 months, sales for Phytelligence are already four times what was achieved the entire year in 2015. Selling for the Spring 2018 season is underway as Phytelligence looks to take advantage of their new increased plant capacity. Customers looking for rootstock should plan to book soon before Spring 2018 is sold out. The company encourages growers to contact Tim O’Brien at 206-719-5317 or timobrien@phytelligence.com for more information on available plants. Phytelligence is a platform agricultural biotechnology company that is revolutionizing the way food crops are grown. Utilizing its proprietary growing techniques to provide superior quality crops, Phytelligence enables higher grower profit by increasing speed to harvest and reducing input costs. Phytelligence provides additional value to food crop growers and plant breeders through the application of advanced genetics enabling 100 percent guaranteed delivery of accurate plants, disease screening, plant repository services, securing of intellectual property, and the ability to co-develop new varieties of food crops. In addition, Phytelligence has a growing pipeline of biological and compound solutions aimed at improving returns throughout the food crop value chain. Phytelligence was founded by Dr. Amit Dhingra in 2012 out of his Horticulture Genomics and Biotechnology Research laboratory at Washington State University and is headquartered in Seattle with offices in Pullman, Washington and Portland, Oregon.